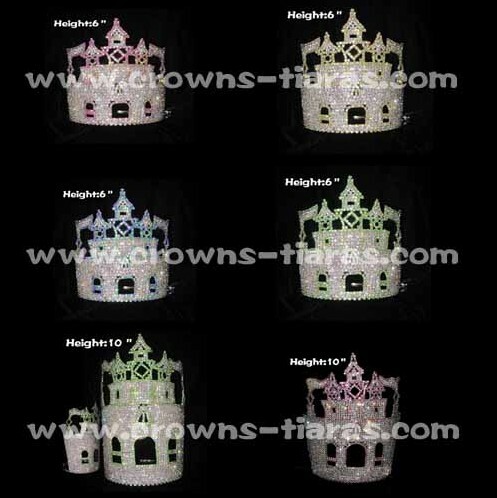 This is the hot selling castle crystal Pageant Crowns,6in 8in 10in all available. The color could be changed as your demand,There is also anther Castle Crowns in hand,please contact directly if needed. Looking for ideal Castle Crown Manufacturer & supplier ? We have a wide selection at great prices to help you get creative. All the Rhinestone Castle Crowns are quality guaranteed. We are China Origin Factory of Crystal Castle Crowns. If you have any question, please feel free to contact us. Copyright © 2019 YiWu Home Of Crowns Co.,Ltd All rights reserved.